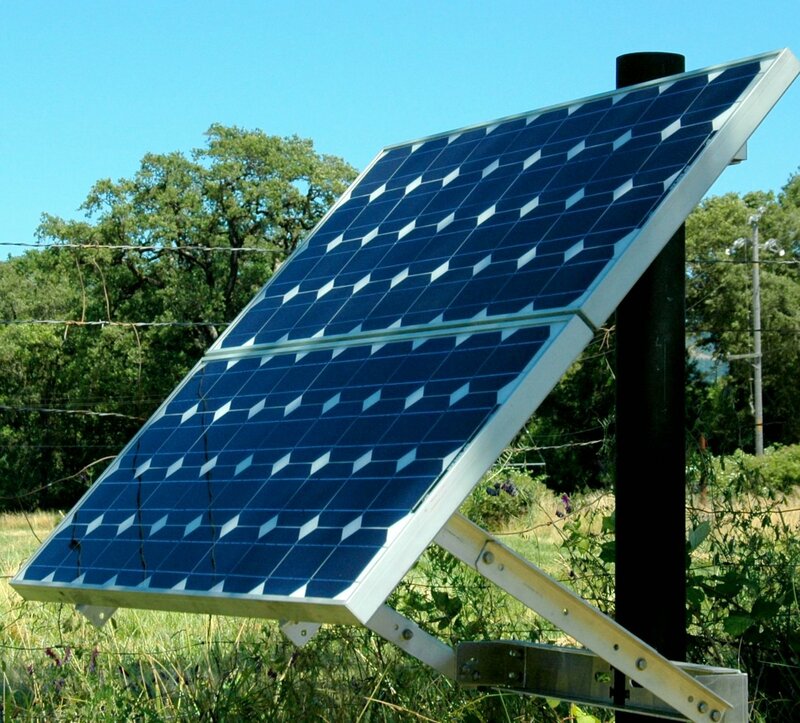 Tamarack Solar’s U.S. MADE Pole Mounts are designed to install quickly and provide a secure mounting structure for PV modules on a single pole. The intuitive design is easy to learn and provides for a fast and easy installation. 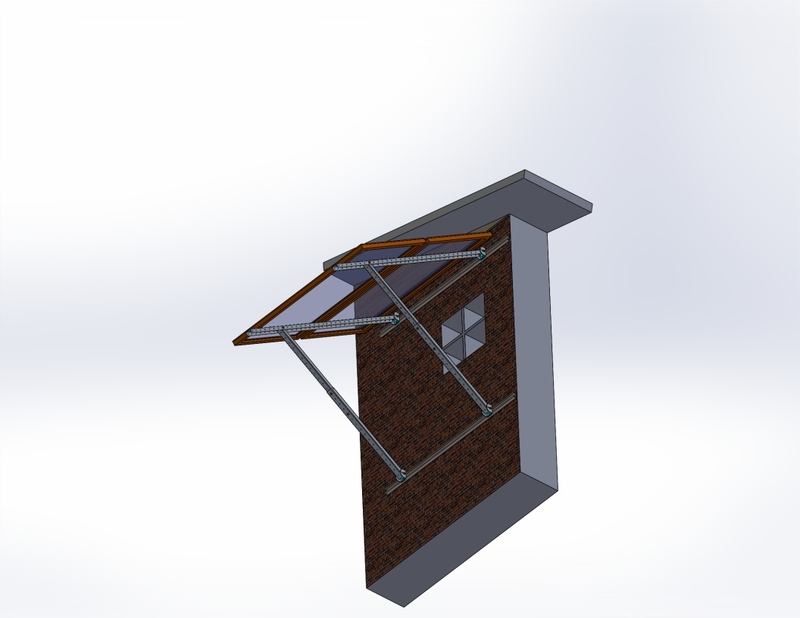 What’s the meaning behind Tamarack Solar Pole Mounts’ part numbers? 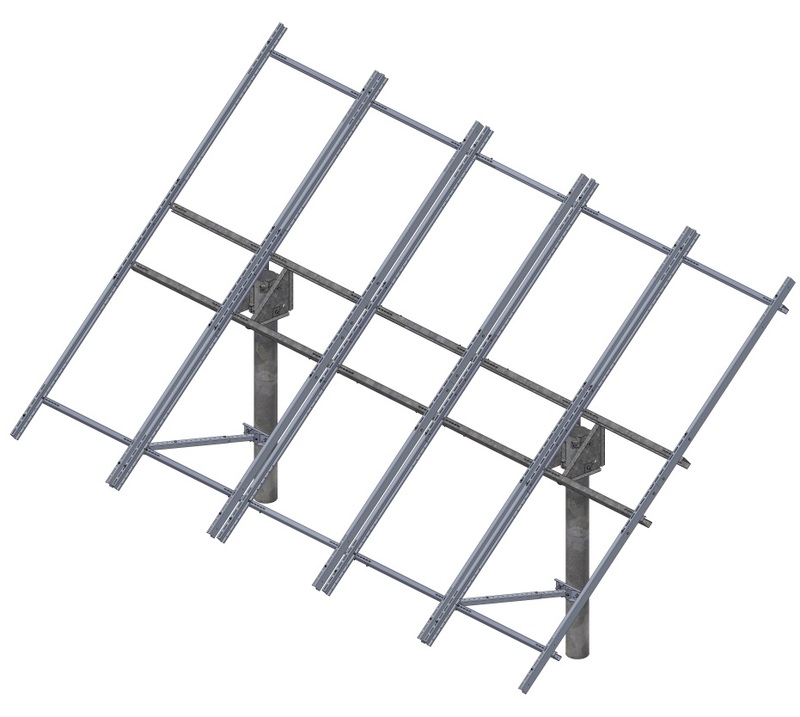 Multi-Pole options for larger arrays are also available, starting with a 10 module mount that can be expanded in quantities of 6 by adding a third post. Entire array remains seasonally adjustable. Tamarack Solar’s new Universal Large SOP Module Mount is a heavy duty pole mount system ideal for 2, 60 or72 cell modules with dimensions less than 79.5″ x 39.5″, using a single 4″, Sch 40 steel pipe. Additional 2″ pipe is needed for installation and should be sourced locally. 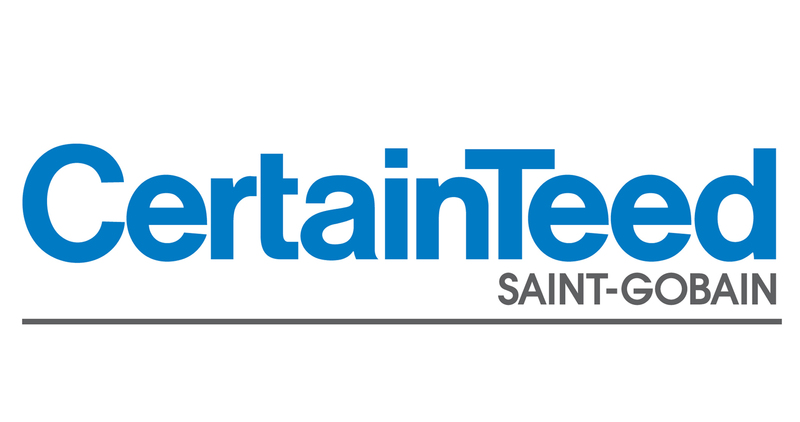 10-year warranty on structure and 3-year warranty on finishes. 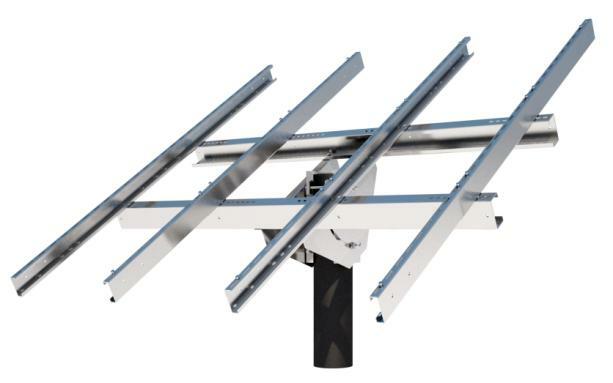 Tamarack Solar’s new Universal Large Module Mount is a heavy duty pole mount system ideal for larger 60 and 72 cell modules with dimensions less than 79.5″ x 39.5″. Using a single 4″ or 6″, Sch 40 steel pipe you can easily mount the number of modules specified in the part description without complex sizing calculators. 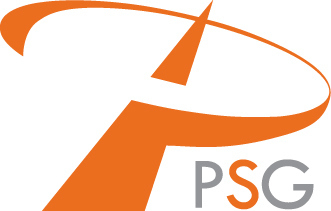 The STP mounts 1, 2, or 3 modules. The LTP mounts 4 or 6 modules. Having a single SKU for both 60 cell and 72 cell modules minimizes on hand inventory for you and reduces complexities for your customers. With the multi-pole option you can start by mounting 10 modules over two posts, and quickly add 6 modules with an additional 6″ post. Expand the system as long as space allows to have a seamless plane that remains seasonally adjustable. 10-year warranty on structure and 3-year warranty on finishes. 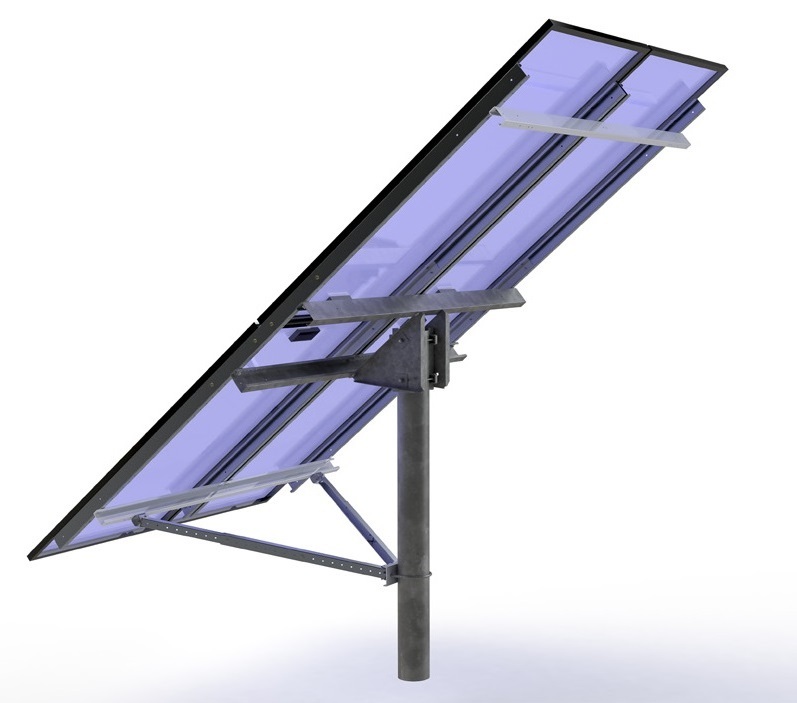 Tamarack Solar’s legacy Top of Pole mounts continue to be a ideal heavy duty mounting systems for single pole, small multi panel arrays (typical modules size is less than 150W). 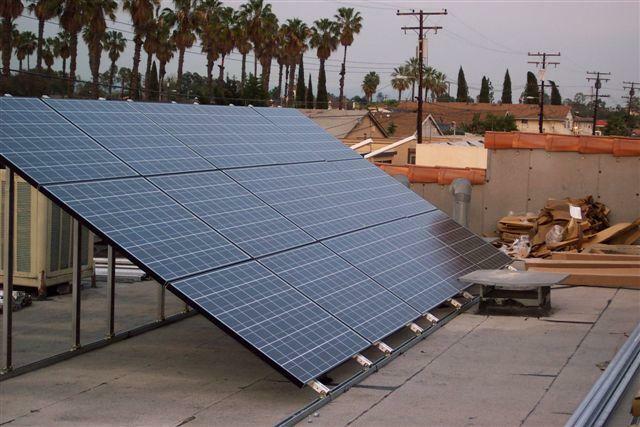 Mounted atop either a 4″ or 6″ pole, these systems support most 12V and smaller 24V modules with ease. Mounts are manufactured using powder coated steel and heavy-duty corrosion-resistant 5000 series aluminum. Schedule 40 steel pipe is not included. 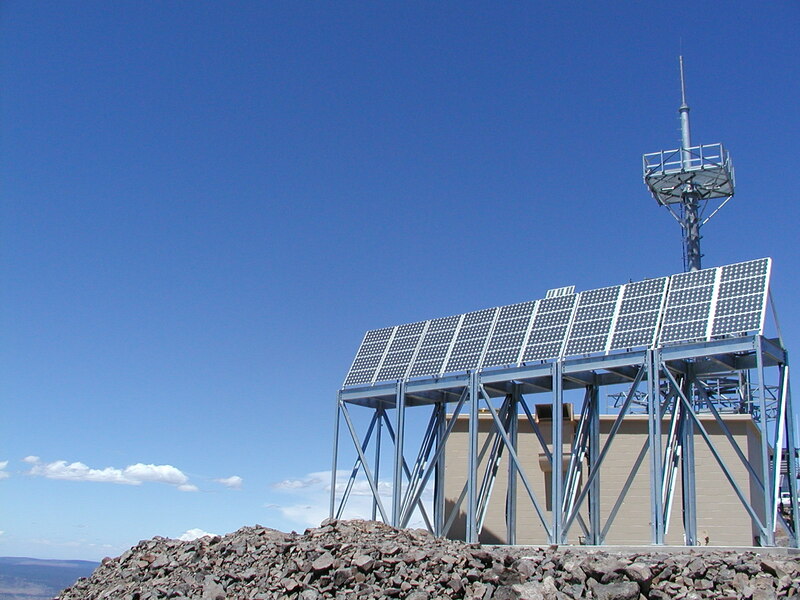 To configure based on your specific pole mounting needs, please use the Tamarack Solar Pole Mount Modeling Spreadsheet or contact World Technology Corporation to size for you. 10-year warranty on structure and 3-year warranty on finishes. 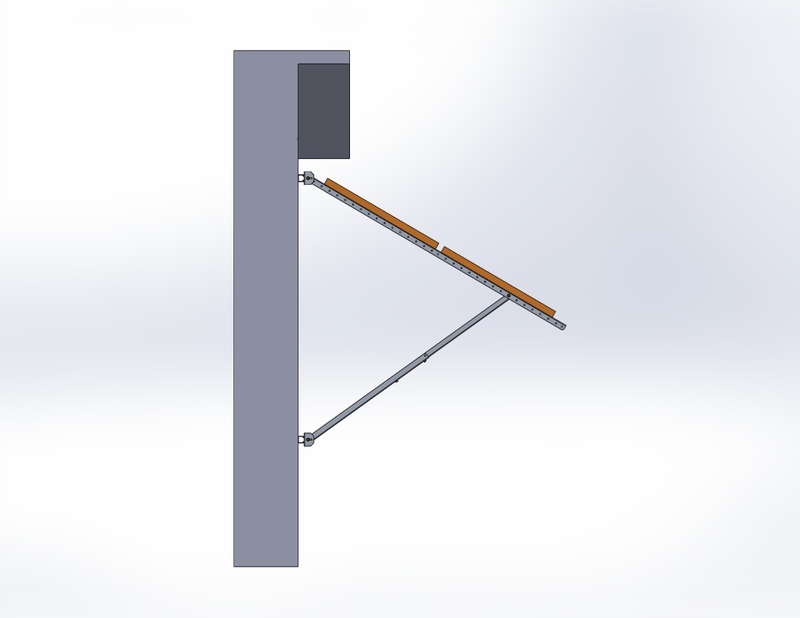 -STP-SCR/045 Pole Top (4″) for 1L, 60c or 72c Module- Hole Space <48"
Tamarack Solar’s Single Arm Mount is a simple mounting solution for poles, walls and other flat surfaces. 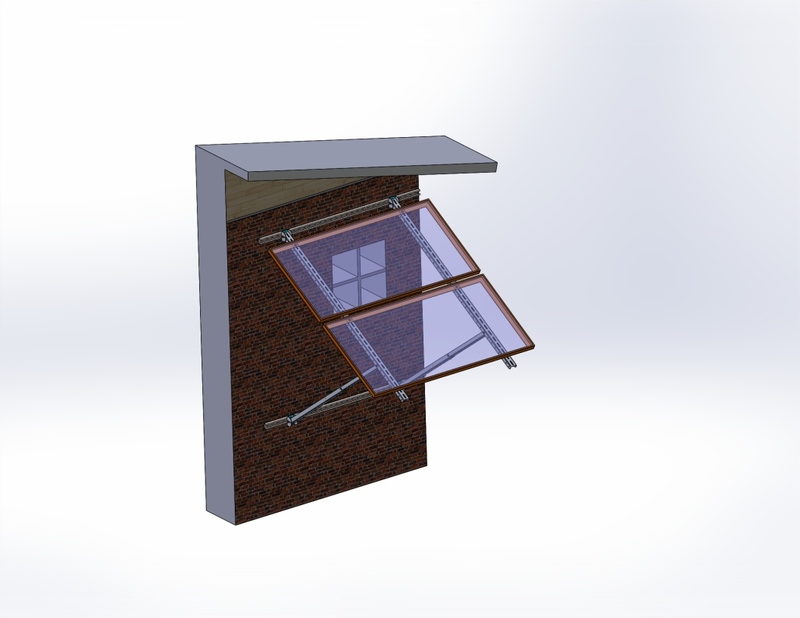 This incredibly versatile mount has been used on the sides of shipping containers, buildings, as an awning and mounted to just about any flat surface. It can also mount to poles that are 2″ to 4″ in diameter and holds modules with widths between 5.26″ and 25.5″. 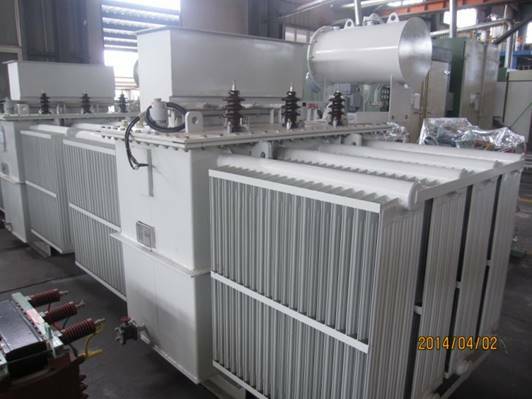 Manufactured using heavy-duty corrosion-resistant 5000 series aluminum. Schedule 40 pipe not included. 10-year warranty on structure and 3-year warranty on finishes. 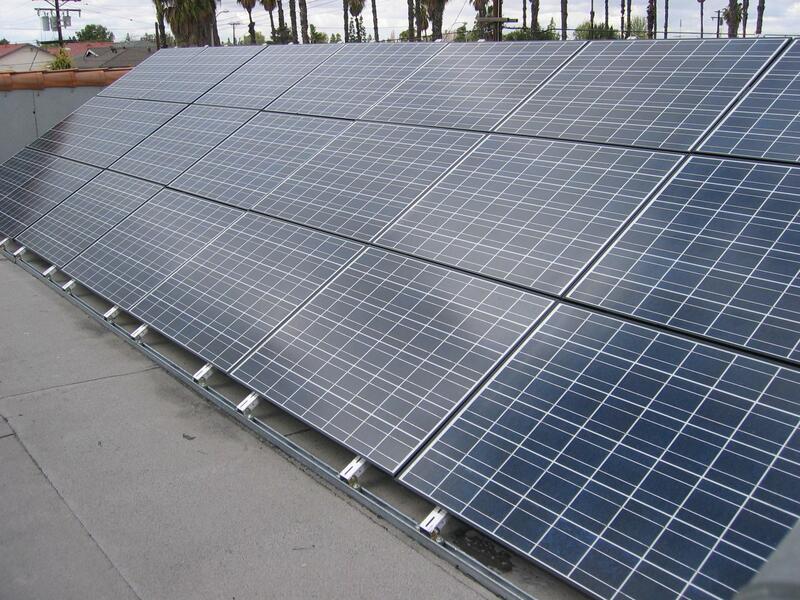 used on the sides of shipping containers, buildings, as an awning, or mounted to just about any flat surface. 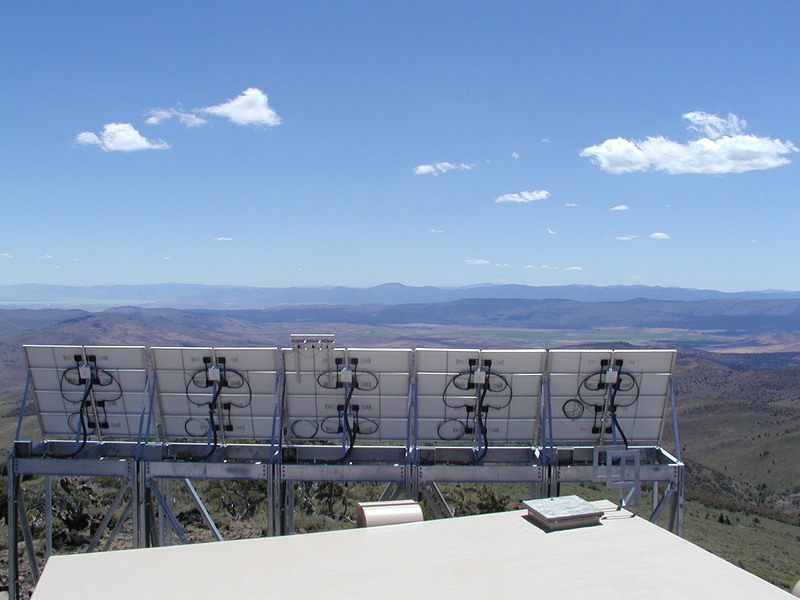 Tamarack Solar Side of Pole Mounts support pole diameters of 2″ to 4″ (2.375″ OD to 4.5″ OD), and ROHN towers. Designed for smaller modules with center-center distribution of 19″ to 39″. Side of Pole Mounts are manufactured using heavy-duty corrosion-resistant 5000 series aluminum and stainless steel hardware. These mounts can also be lag bolted to wooden structures and telephone poles that exceed the 4″ pipe diameter. Schedule 40 pipe is not included. 10-year warranty on structure and 3-year warranty on finishes. 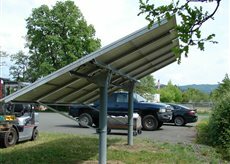 Tamarack Solar’s Side of Pole Mounts have been an industry standard for over 20 years, with new innovations being added continually to improve the products resiliency. SB-KNBR-001 is a lower brace used to increase stability. It is compatible with the UNI-SP/01 and UNI-SP/01A to retrofit them. 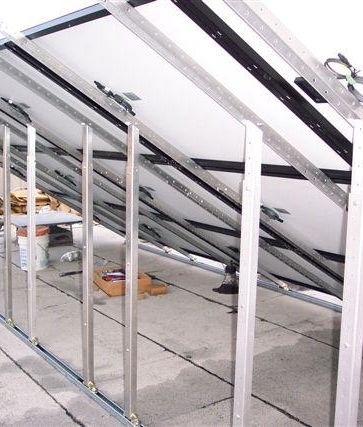 In the Side of Pole mount line there are three distinct areas of bracing. Installers do not need to add the SB-KNBR-001 to the SP/01XH as an extra item, as it already comes standard with that mount.